The lodge is very isolated – so if you hanker after the bright lights and more conventional tourism infrastructure this is definitely not the place to come! Getting there might be a bit of an adventure but the real fun starts once you reach Nuarro. 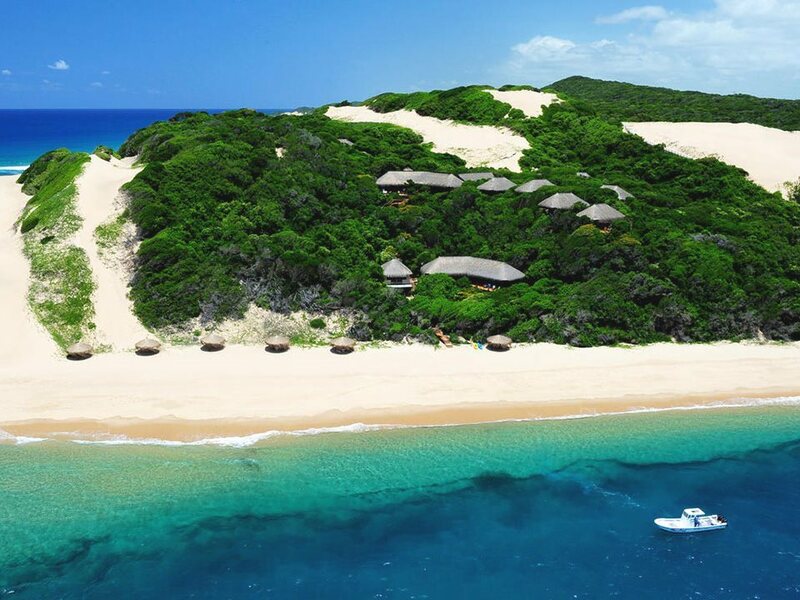 The lodge is tucked into the dunes that line a long, deserted beach that stretches for a number of kilometres and is backed by pristine bush and baobab forest. There’s plenty of opportunity to go for long strolls and find yourself a undisturbed little cove, but the real magic lies in the turquoise ocean offshore! The 2 couples that own and run Nuarro are all dive fanatics and experienced instructors and the area offers outstanding diving. 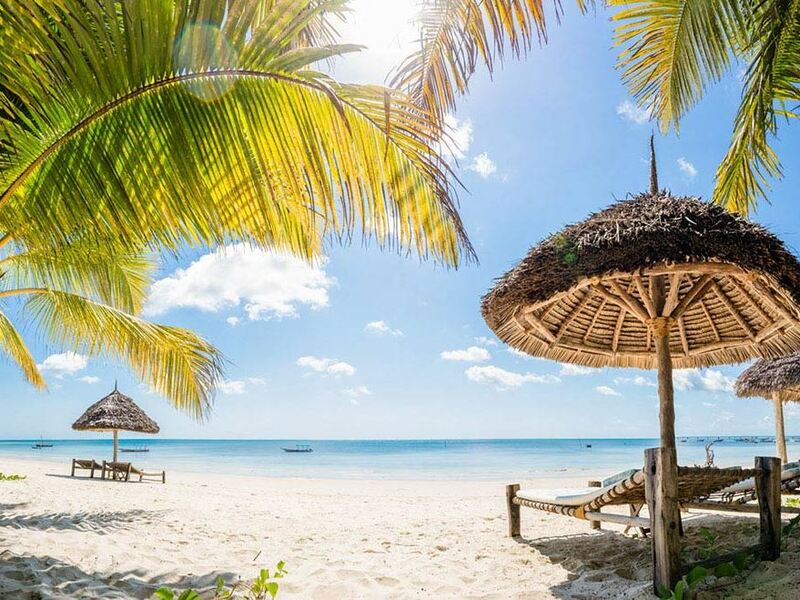 Quite unusually (and a big plus) is that Nuarro offers the opportunity to go diving and snorkeling directly from the beach due to the close proximity of the house reef with the dramatic Continental shelf drop-off being just 200 metres offshore! This, combined with abundant fish life and coral diversity and the presence of a wealth of virtually undiscovered dive sites nearby, make Nuarro a terrific diving destination! You’ll have a comfortable stay too. The lodge’s 12 chalets are strung along the beach in the dune vegetation and enjoy great sea views. They’re very spacious too with some 120 m² under roof but it’s the traditional construction method that marks them out as something out of the ordinary – the walls utilise the African “pau-a-pique” technique, which involves an elaborate wooden mesh tied together with recycled tyre rope and filled in with rocks, then a colourful “matope” paste (mud and sand mix) is plastered to form the walls. 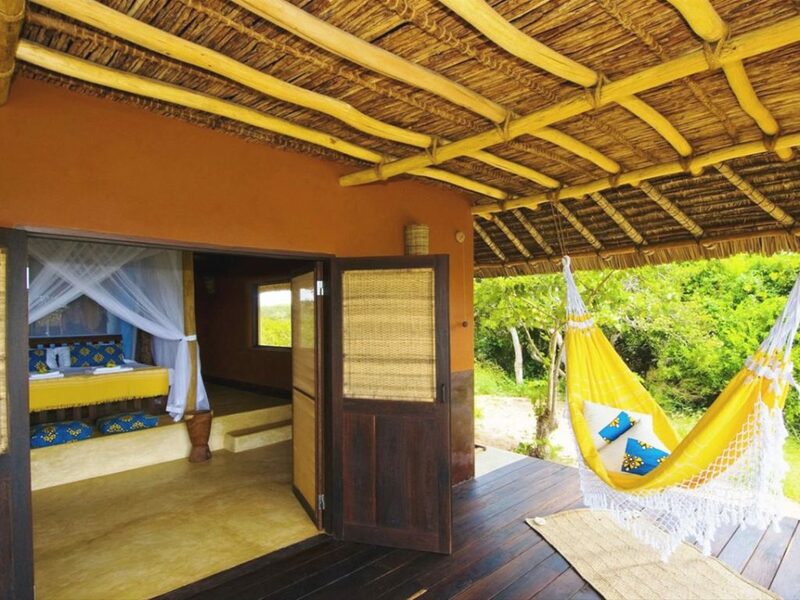 Together with the traditional makuti thatch roofs and the large windows which welcome the constant gentle flow of the sea breeze, the rooms are naturally insulated to keep the heat of the day outside and it results in a surprisingly cool and luxurious result. The elevated platform for the king-size bed means you can enjoy gorgeous views of the bay from the privacy and comfort of your bed. 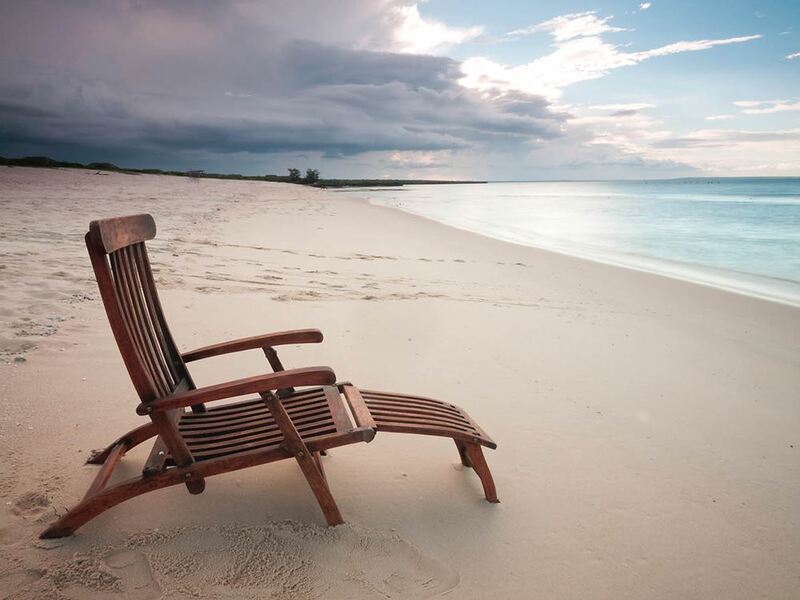 Otherwise why not relax with a book or take an afternoon nap in the hammock on your deck or perhaps on the raised sun bathing beds discretely placed on the beach. Ten of the chalets also have an upstairs mezzanine level with twin beds making them perfect for families with kids. Nuarro also boasts impeccable eco-credentials – the 12 beach chalets are solar powered including indoor showers heated by solar energy, solar powered garden lights mark the walkways and water management is assisted by the innovative dry sanitation system which is used throughout the lodge. The responsible tourism aspect is strengthened by Nuarro’s close relationship with the small, local Nanatha village nearby and as co-owners of the land the community are very active in participating and building the business, not to mention that locals also make up the bulk of the lodge staff. Nuarro also boasts an excellent reputation for its food - the restaurant enjoys great views over the bay and as you would imagine the freshest seafood and salads are the mainstay of the menu. There is a sunken lounge with a library where tea and cake are served in the afternoons whilst a chilled beach bar serves light snacks throughout the day and makes for an excellent sundowner spot. Whilst the diving is perhaps the major attraction at Nuarro, non-divers can also enjoy a load of other activities including snorkelling, dhow sailing to picnic on deserted beaches, sea kayaking, fly-fishing, eco-trails by mountain bike or on foot, bird watching, cultural village visits and fantastic dolphin and whale watching during their annual migration from June until November – with the Continental shelf drop off being so close to shore, humpback whales can often be seen breaching or lolling about literally just off the lodge and you might even find yourself being kept awake by their snoring at night! A wooden walkway connects you to Nanatha rock, a little coral island just offshore, where you can get even better views of these giants of the ocean, or you can go out by boat to observe their antics close up. A really interesting excursion is the day-trip to Ilha de Mocambique, about three hours away by 4WD. This World Heritage Site, the abandoned former capital of Mozambique, displays a mixture of Arabic, Portuguese, Swahili, Africa and Dutch influences. Another day-long excursion is through the bush to the famous Lurio Waterfalls, only accessible in the dry season. It all adds up to a fabulous opportunity to enjoy a truly adventurous holiday in a still pristine and isolated part of a rapidly shrinking world!